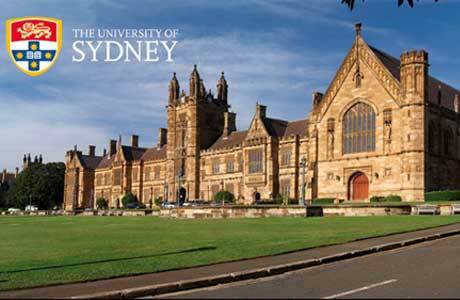 The University of Sydney is an Australian public research university in Sydney, Australia. Founded in 1850, it is Australia's first university and is regarded as one of the country's leading universities. The University of Sydney has many scholarships available for international students. There are also scholarships that are funded by the government and various industries. Because of the variety of scholarships on offer, the eligibility criteria for each of them are different. The University offers Vice-Chancellor International Scholarships Scheme for international postgraduate students,. The Faculty of Science offers a limited number of full-time postgraduate research scholarships to outstanding international students wishing to undertake a research doctorate degree (PhD) in the Faculty of Science. Applications are sought from top-performing students currently enrolled in the final year of at least a four-year Bachelor’s degree in Science or a relevant discipline or an equivalent degree (such as a combined Bachelors/Honours/Masters degree), at an international university. The final year of the degree must include an independent research component which accounts for a minimum of 25% of the final year marks awarded. The award of the scholarship is competitive on the basis of academic merit. The scholarship consists of the full cost of academic tuition fees plus a stipend equivalent to an Australian Postgraduate Award indexed annually (RTP stipend rates for 2016 are $26,288 for full-time students), and is awarded for three years, subject to satisfactory progress, with a possible extension of up to six months. > Apply to the Dean's International Postgraduate Research Scholarship via the online scholarship application, by 30 April 2018. > Apply to the Dean's International Postgraduate Research Scholarship via the online scholarship application, by 30 November 2018. > Successfully complete their 4th year of their current Bachelors Degree in Science meeting the academic requirements of the scholarship and complete in time to commence studies at the University of Sydney in the relevant year and research period.